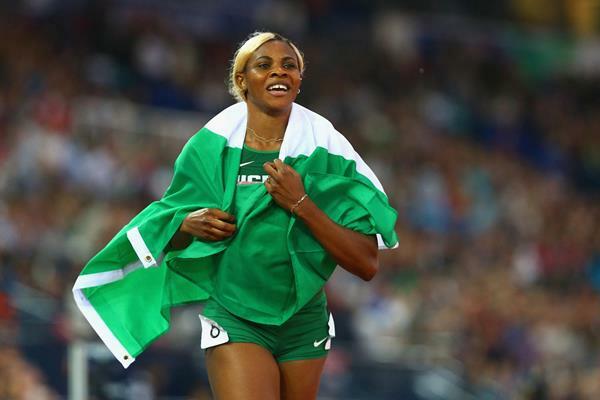 Nigeria’s Blessing Okagbare continued her impressive run in the IAAF Diamond League on Saturday with a second-place finish in the 200m at the New York leg of the event where she ran 22.67secs behind USA’s Tori Bowie. With the absence of big names like Jamaica’s Shelly-Ann Fraser-Pryce and Allyson Felix, Okagbare was a favourite along with Bowie for the first position. Bowie had run against Okagbare in Shanghai and had been beaten by the Nigerian, New York was her chance to earn her revenge and she produced a season best of 22.23secs to win the race and ensure the Nigerian produced her season best.